was still minimal and factual; simple english; with a killer "Read-me-now!" cover design. keep up with the times? Strive to be a self-starter in all that you do. 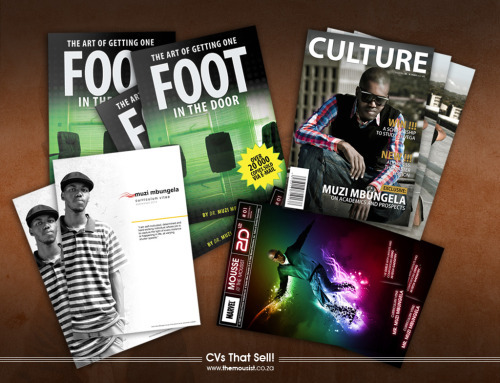 Resume's for designing here (just click on the link). 01. The service will cost you R500 (photography / photographs excluded). 02. The First 50 to take up the offer get a 5% Discount on their CV. 03. The First 100 to Like The Mousist on facebook get another 5% OFF. 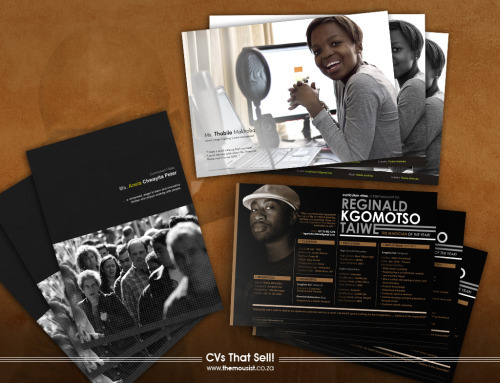 ** Should you require some photos for inclusion in your CV you will be charged an extra R250.